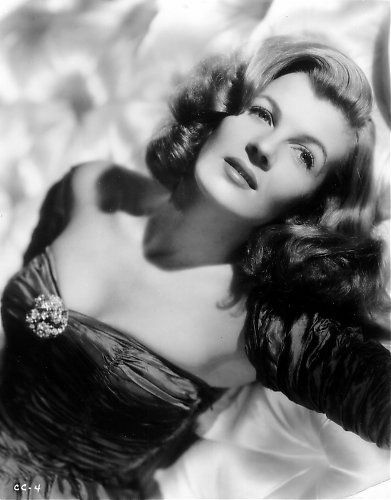 Corinne Calvet (April 30, 1925 – June 23, 2001) was a French actress who appeared mostly in American films. 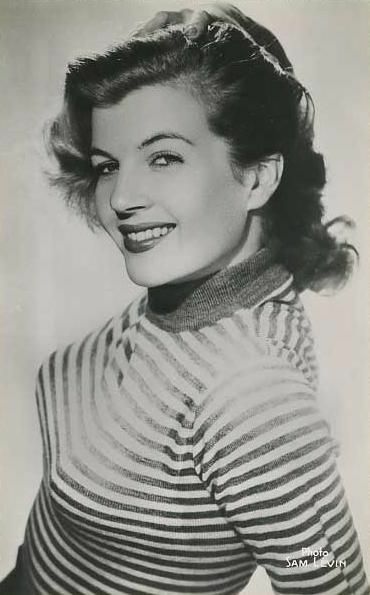 Born Corinne Dibos in Paris, Calvet studied criminal law at the Sorbonne and made her debut in French radio, stage plays and cinema in the 1940s before being brought to Hollywood in the 1940s by producer Hal Wallis. 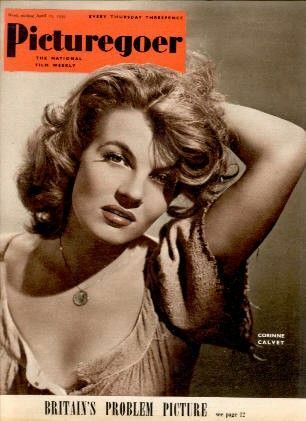 He cast her in Rope of Sand (1949) opposite Burt Lancaster and Paul Henreid. 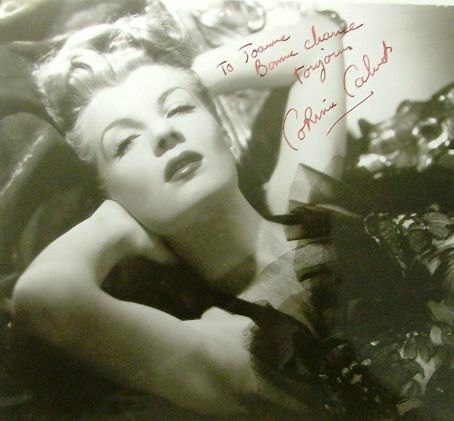 In the 1950s, Calvet appeared in a string of films, usually playing French characters, opposite such leading men as Danny Kaye (On the Riviera), Joseph Cotten (Peking Express), James Cagney (What Price Glory? ), James Stewart (The Far Country), Alan Ladd (Thunder in the East), Tony Curtis (So This Is Paris) and Dean Martin and Jerry Lewis (Sailor Beware). 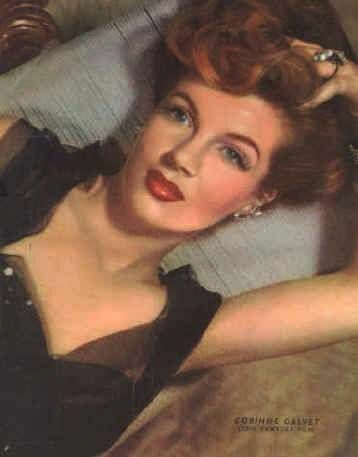 She made a rare television appearance on the Colgate Comedy Hour with Donald O'Connor on February 3, 1952, televised nationwide by NBC. In her memoir, entitled Has Corinne Been a Good Girl? 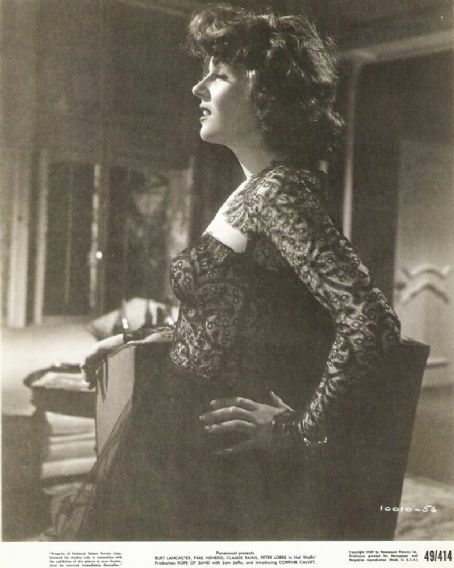 (1983), she stated that the roles she played for Hollywood studios never challenged her acting ability. Calvet was married three times. 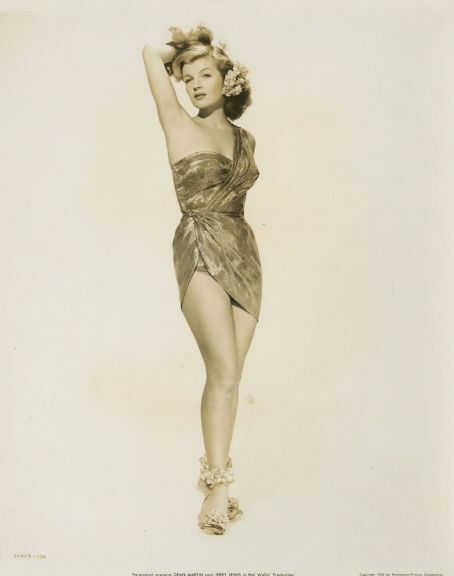 Her first marriage was to actor John Bromfield (1948–17 March 1954), who had co-starred with her in Rope of Sand and who, she claimed had been ordered to marry her by his studio. 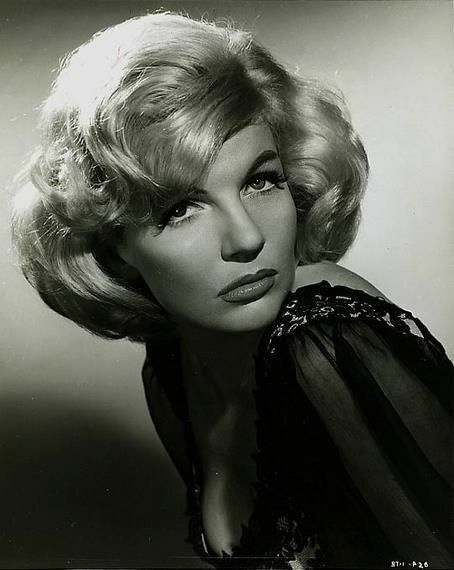 She then married Jeffrey Stone (1955–1962) and Robert J. Wirt (1968 – October 1971). All three marriages ended in divorce. 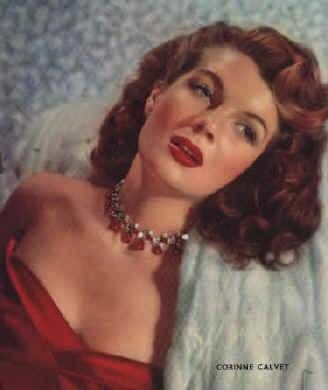 She died in Los Angeles of a cerebral hemorrhage.